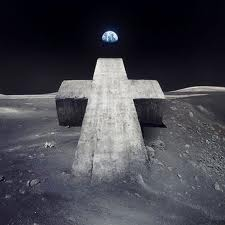 I'm taking a break from the '80s, just for a moment, to count down my favourite 100 songs of 2012. As I write this first part, which will cover numbers 100 to 81, I'm still working out the placement of the top 80, but these 20 are locked in. Songs that didn't make the top 100 include five of the six singles Emeli Sandé performed on this year, Taylor Swift's "I Knew You Were Trouble" (the first song of hers I liked - but clearly not enough), both Calvin Harris' collaborations with Florence Welch and anything from Cheryl Cole's current album - to name just a few. 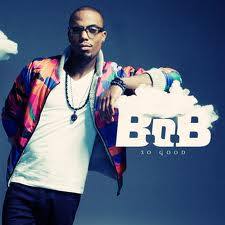 Unlike in 2010, when I was a fan of his trio of hits, this was the only single I liked from B.o.B's second album, Strange Clouds, which had songwriting and production input from the ubiquitous Ryan Tedder. Speaking of ubiquitous, Emeli had her hand in just about everything in 2012, releasing a trillion singles from her own album, popping up on this and "Wonder" by Naughty Boy, and hogging the Olympics stage. 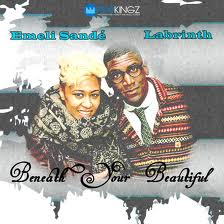 My favourite of her many appearances from the past 12 months was on this Labrinth single, which was the first time I'd liked anything he'd released - probably because it sounds nothing like his normal stuff. 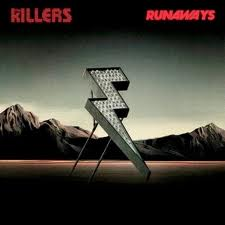 This comeback single does, however, sound exactly like The Killers' normal stuff. Brandon Flowers' distinct not-quite-on-the-note vocal, the epic production, the storytelling in the lyrics... all the hallmarks of a Killers song are present and accounted for - so much so, that it took me a while to get into this song, since it didn't really do anything new. But, there's a lot to be said for doing what you do well. I don't know anything about this rap duo - although I just discovered that one of them calls himself Xaphoon, which I don't know if I approve of. 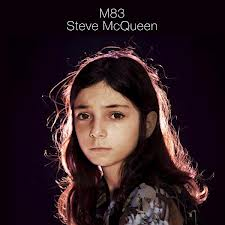 I hadn't been a fan of their previous hit, "Opposite Of Adults", which sampled MGMT's "Kids", but I did like this track, which features Swedish female duo Icona Pop (whose "I Love It" didn't quite make my top 100). I would have been perfectly happy for Will to keep issuing singles from Echoes (and the fact that "Safe From Harm" never got a release is a travesty), but this was the fourth and final single to do the rounds. And by "do the rounds" I mean "fail to crack the UK chart". I guess everyone already had the album. We'll see Will again before we reach number 1. I had no idea this single had such a great music video - featuring fans showing off records from their own collection. 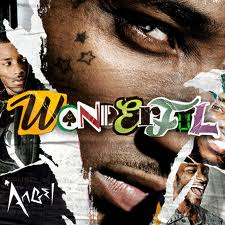 The song itself wasn't a big hit, but it's one of two songs from Words And Music that make this list - in part due to the production input from Richard X and Xenomania's Tim Powell. I really should have just bought Hurry Up, We're Dreaming when it came out last year and been done with it. Instead, as the French group released each single from the album, I dutifully bought it on iTunes. I still don't own the album, but I do own the first four singles - three of which appear in this top 100. Here's another French electronic act (a few pop up on this list) with their final single from Audio, Video, Disco. I've been aware of Justice since 2007's "D.A.N.C.E. ", but over the last couple of years they've really hit their stride. Number 92 "Give Me All Your Luvin'" Madonna featuring Nicki Minaj & M.I.A. 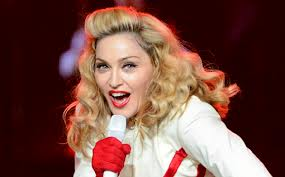 Madonna has had dud years before (2003, for example) but 2012 has to go down as her worst year of all time. There's no two ways around it - MDNA was a massive disappointment. 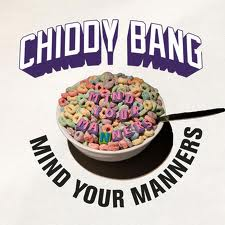 This first single wasn't all bad - it's catchy enough, if a little forgettable - but when it turned out to be the best track on the album, we had a problem. The cancellation of the Australian leg of her tour didn't help her case in this part of the world, either. 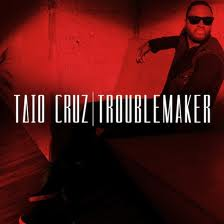 Even though all of Taio Cruz's songs have started to sound the same - mostly because they generally feature some sort of "Oh-oh-oh-oh-oh" refrain - they still achieve the desired result, which is to be catchy. In fact, a lot of music in general sounded the same in 2012 - and I don't think it's just because I'm not 17 and can't tell the difference. For every 20 generic songs about partying in the club, though, there was a track like this, which at least made a bit of effort to be different. Job well done, Angel. I'm now going to sound like a complete hypocrite, since this new track by the Swedish producer is about as generic as they come. But, I'm a sucker for a piano line in a dance track, so what can I tell you? 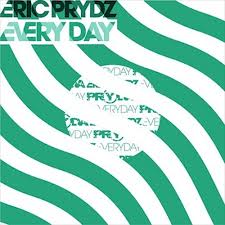 The first song by Eric to get my attention since 2008's "Pjanoo" demonstrates that sometimes it is worth sticking with what you know. 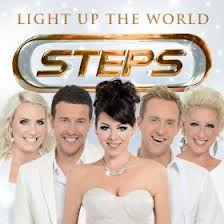 I think it's fairly safe to say that in 1988 to 2000, I was obsessed with Steps, who dominated my list of favourite songs for all three years. Perhaps the reunion was inevitable, despite the fact that H and Claire made it reasonably unlikely it would ever happen - but time heals all wounds, it seems. While the UK has embraced the return of the pop combo to the concert arena, this new single - the group's first in over a decade - was a complete failure (there wasn't even a proper video made, with a lyric clip below). A big ballad taken from a Christmas album of the same name, it's not their best work, but it is a grower, which does its job of getting stuck in your head. Just like old times. 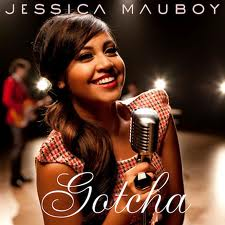 My favourite artist to have emerged from Australian Idol, with Guy Sebastian a close second, Jess has had a pretty flawless career (I'll just gloss over "Get 'Em Girls" and that stint in Young Divas). She now a bona fide double threat thanks to her role in The Sapphires, from which this song is taken, so it'll be interesting to see what Jessica does next. I know, I know - I'm as surprised as anyone, but a good song is a good song. And, to talk in '90s terms, with "Boyfriend", the Biebs went from Aaron Carter to Justin Timberlake, who was only a couple of years older when Justified was released. 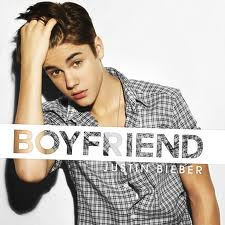 Fear not, none of Justin's other singles from 2012 make this list - so, for now, this is a one-off. The hardest working singer in the world, Rihanna has released seven albums since 2005, had over 30 singles in her own right and another nine as a featured vocalist... and yet the public doesn't seem to be sick of her yet. One reason why could be because she continues to evolve her sound, with this track co-written by Sia sounding like nothing she'd ever recorded before. 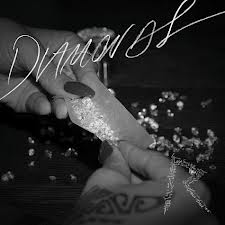 It is, however, Rihanna's only appearance in this top 100, with four other singles from 2012 falling short. 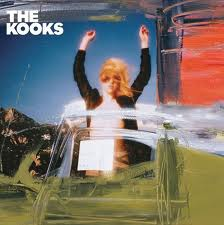 Like the other K bands, Kaiser Chiefs and The Killers, interest seems to have faded in The Kooks, but I still found songs like this as good as their previous efforts. I might have been the only one. 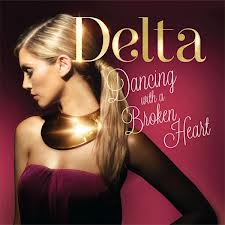 Delta's best song in seven years was also her lowest charting release since her debut single, "I Don't Care", missed the top 50 entirely back in 2001. Naturally, Sony rushed out a classic Delta ballad for her next release and all was right with the world again. How J.Lo must long for the days when anything she released went top 5 around the world. After struggling to follow up "On The Floor" with another hit, she turned once again to Pitbull and released this song, which, a decade earlier, would have been massive. It did OK in 2012, but to my mind would have been a much better song without Pitbull's input. 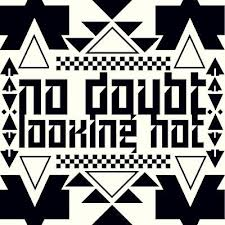 We'd been promised a new No Doubt album for ages - and I was pleasantly surprised by how good it was when it finally surfaced this year. I'd only taken a passing interest in No Doubt in the past - with "Don't Speak", "It's My Life" and "Hella Good" my favourites, but much of Push And Shove sounded like the good '80s-influenced album tracks from Gwen Stefani's solo records. Naturally, I was impressed. While lead single "Settle Down" harked back to the band's ska roots, "Looking Hot" had a big pop chorus and should have been massive. Sadly, the world seemed none too interested in the latest by Gwen and the boys, despite some major promotional efforts internationally. Great Site! Love all things chart-related! 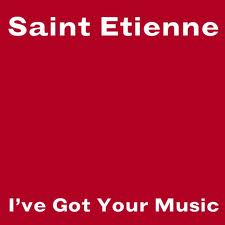 St Etienne is also the pick for me from this lot.